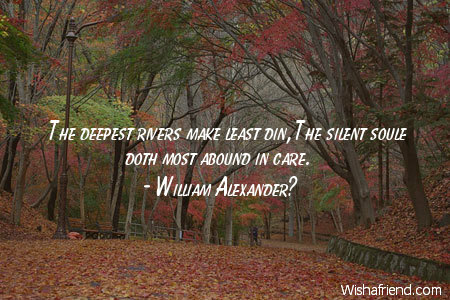 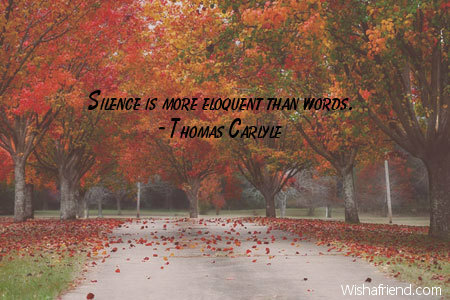 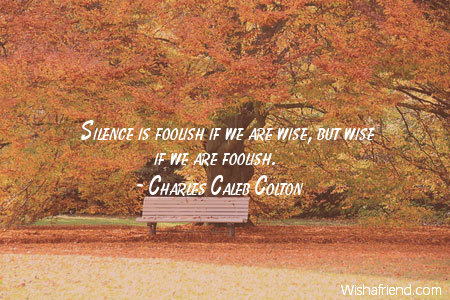 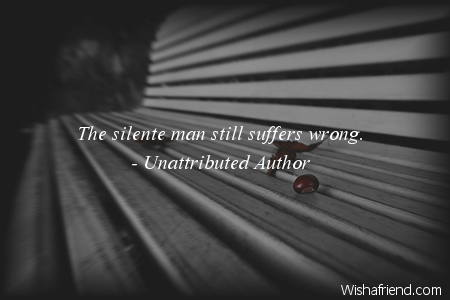 Browse our collection of Silence quotes and sayings. 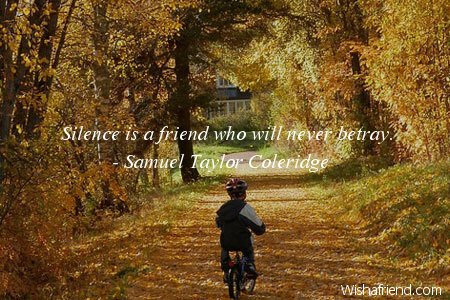 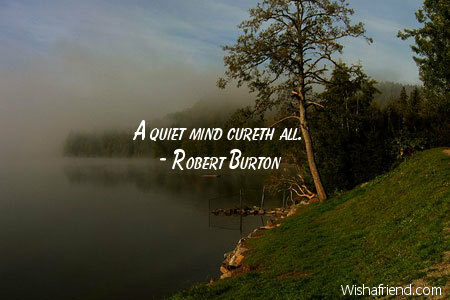 Share Silence quotes with friends and family. 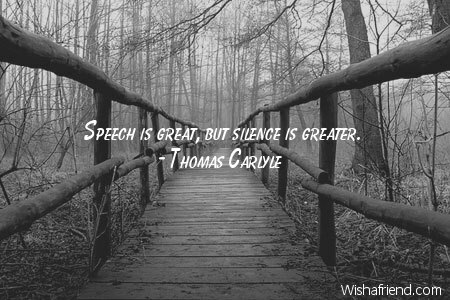 Under all speech that is good for anything there lies a silence that is better. 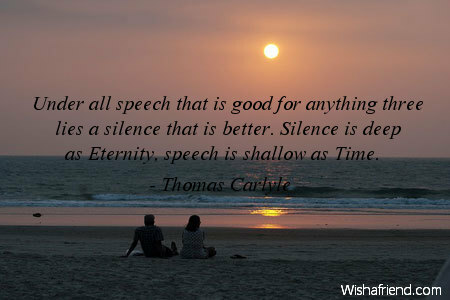 Silence is deep as Eternity, speech is shallow as Time. 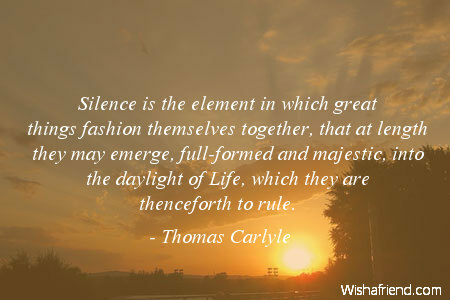 Silence is the element in which great things fashion themselves together, that at length they may emerge, full-formed and majestic, into the daylight of Life, which they are thenceforth to rule. 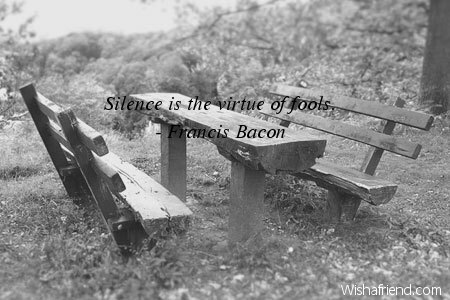 Under all speech that is good for anything three lies a silence that is better. 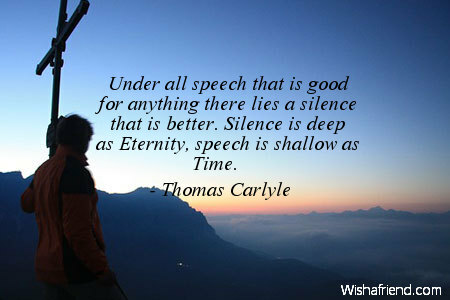 Silence is deep as Eternity, speech is shallow as Time. 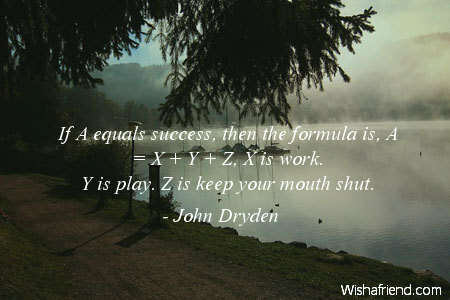 If A equals success, then the formula is, A = X + Y + Z, X is work. 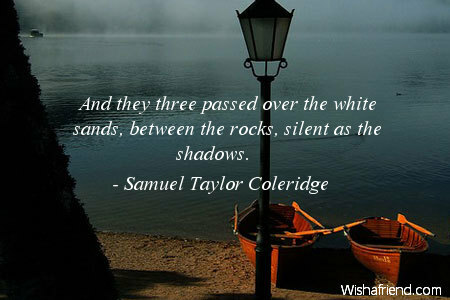 Y is play. 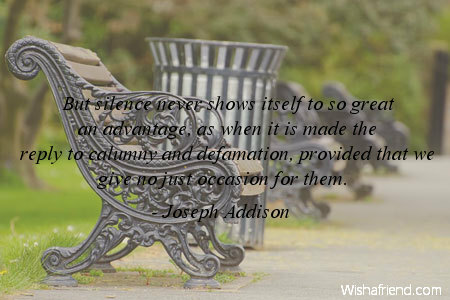 Z is keep your mouth shut. 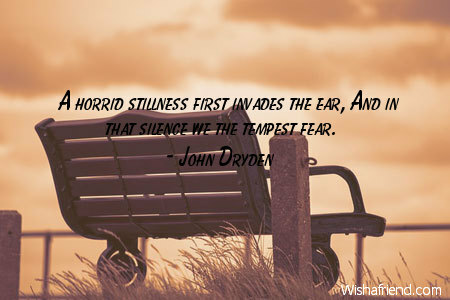 A horrid stillness first invades the ear, And in that silence we the tempest fear. 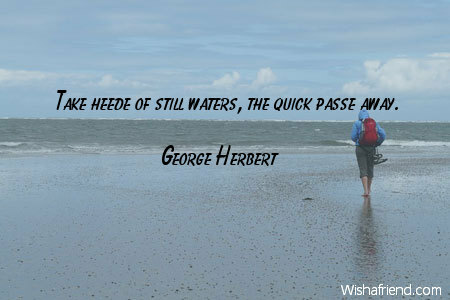 Take heede of still waters, the quick passe away. 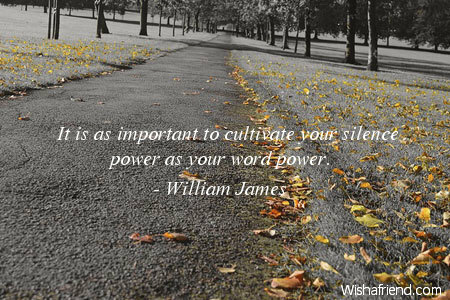 It is as important to cultivate your silence power as your word power.